Paul I’m very proud of you!! I share with you my day today… As a CNA (Certified Nursing Assistant) me & Rolf (my guide dog) have the honor of volunteering our time at a Nursing home for the Deaf. I feel blessed & happy to be of service to this population of patients. The one thing Paul that you & I have in common is that our professions are to help or serve others. I’m in my blue scrubs today as its my uniform and I feel that blue is very tranquil to others. As well as music & art therapy that’s my specialty. Have a great day Paul!! ???????????? It’s fine! Thanks!! Thanks!!! Thanks!!!!! I only collect one thing; The Jon Pertwee Recipe Book. I have six so far! Loved the interview Paul can’t wait to see other movies you have in store for us! Thanks! Have a great day!! ?? Laura you look so happy! I love your smile. ? I love that you collected yearbooks. When I was about 12 I collected names. I would write them down in a notebook and just had pages and pages of them. I would purposely watch the credits on tv shows and movies to find interesting names. I wish I still had my list somewhere but I must have thrown it out years ago. Neat interview! I love collecting certain things too, like toys, comic books, and other seemingly random things. I’ve had to add many more shelves to my room, and I’m still running out of room for my collections. 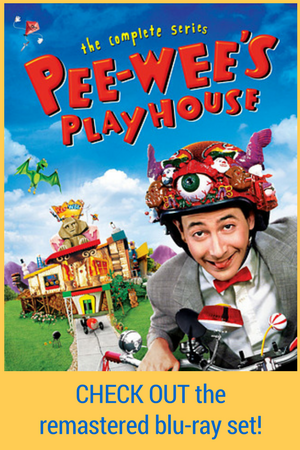 I like that you discussed how Pee-Wee is normal and loved within the universe he exists within. 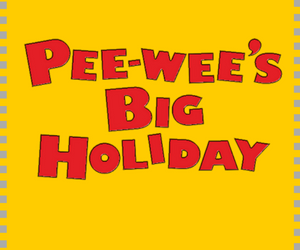 I think the world would be a whole lot better if everyone were a little more like Pee-Wee. 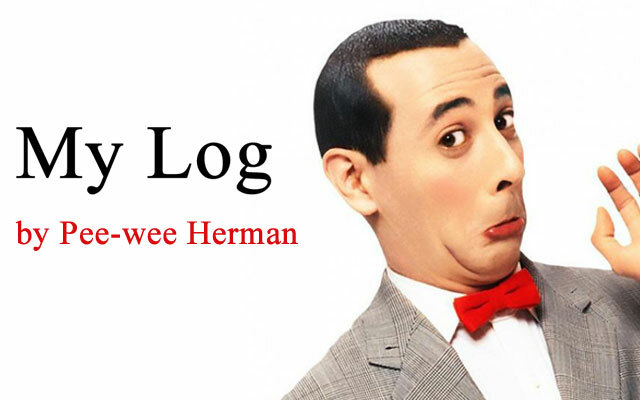 People seem to be increasingly selfabsorbed, when they really should try to be selfless, help others, and see the good in everyone like Pee-Wee does. 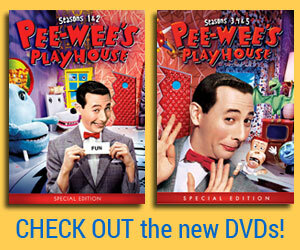 So glad that the person Paul is finally getting a chance to speak separately from the character Pee-Wee. There are some YouTubers that are having problems right now because their viewers can’t separate the character from the creator… Probably harder because of the illusion of intimacy created by the format, but it’s the same old story. Anyhoo… great stuff. Keep it up, man! I think this was one of the best interviews so much energy between the two of you just made it so much fun to watch ? Thank you!! I say life’s too short to not smile or be happy… Me & Rolf believe in the saying one day at a time..